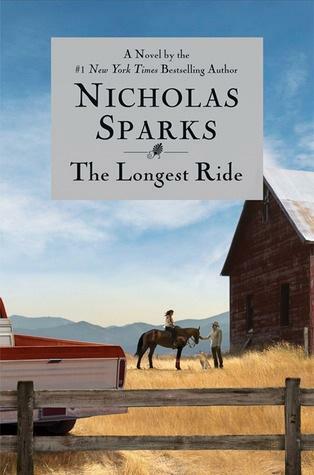 I’ve missed reading Nicholas Sparks’ books. I stopped reading his books when Hollywood started to adapt them into movies on a regular basis. If you’re a big fan of Sparks, you should know that they’re always set in North Carolina in a ranch or a farm or a beach somewhere, and there’s usually a broken man and woman who will stumble in each other’s arms and fall in love like crazy. The Longest Ride tells two love stories. Ira is a 91-year-old man who has lost his most beloved wife Ruth years ago. As he lies injured inside his car after it falls down on the embankment, trapped in a snowstorm with no help in sight, he is comforted by the spirit of his dead wife, who talks to him about the life they lived and the love they shared, willing Ira to fight for his life. Sophia is a college student who is trying to move on with her life after her boyfriend cheats on her. On a night out with friends, she meets handsome and mysterious Luke. He is a bull rider who helps manage their family ranch. It’s an instant connection, and everything feels light, natural and easy, until she finds out the real reason why he rides bulls in the first place. There are some chapters that are a bit dragging and long-winded, but overall, it is a nice and romantic read. A quick search on IMDB told me that a film adaptation will be released in 2015 (of course!) and I’m hoping that it will be Zac Efron again who will play the male lead. Fat chance.